In November the Museum of World Treasures opened a new exhibit about rocks and minerals, Crystallizing Cultures: Geology, Minerals, and Human Civilization. 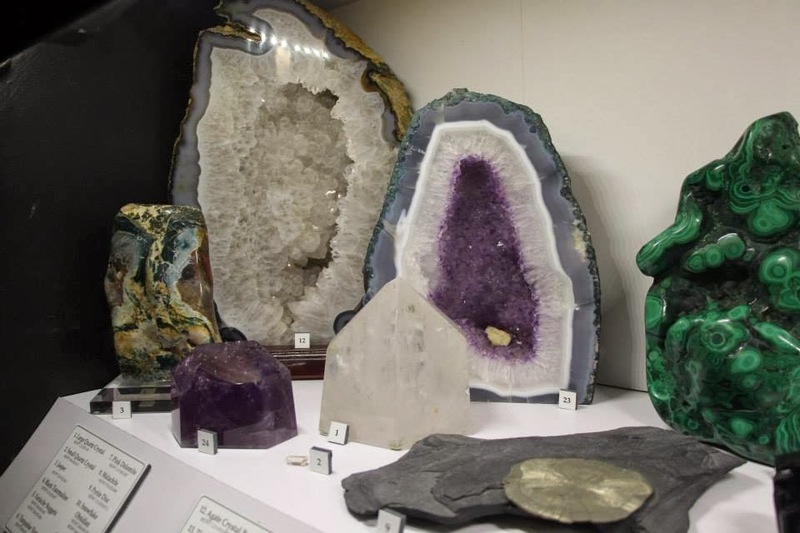 This exhibit offers visitors the chance to learn about geological structures and fundamentals of rocks and minerals, as well as how those minerals have been used and perceived throughout human history. It takes months of preparation and planning to curate a new exhibit for the Museum. 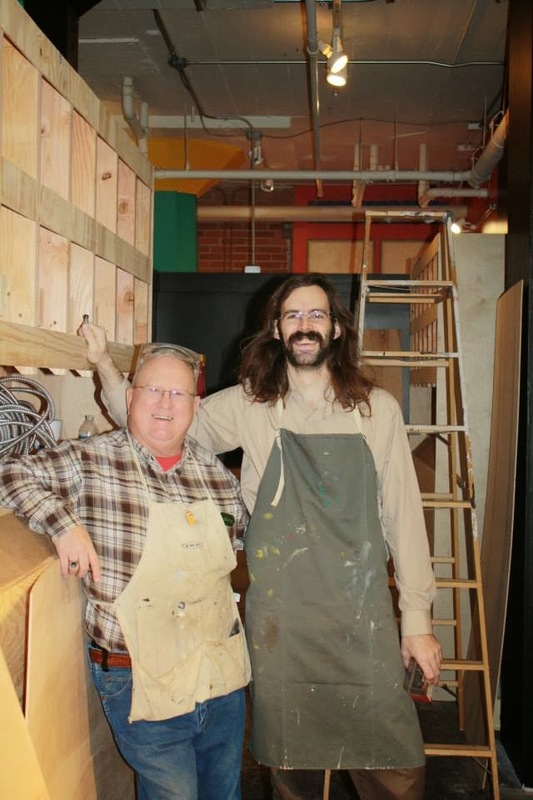 All of our exhibits are done in-house, meaning Museum staff or volunteers design the concept, do all the research, and actually build the exhibit. Crystallizing Cultures was no exception; all the cases were built in the Museum! Volunteer Ron Bogard and Museum Curator of Exhibits, Tim Howard, show off their work on new exhibit cases for Crystallizing Cultures. After the cases are built they must be put into place and painted with the rest of the walls and floor of the room. The artifacts are usually the last items to be placed in an exhibit. This exhibit was finished earlier than usual, several hours before our exclusive opening instead of several minutes. All Museum Members are invited to exclusive exhibit openings. 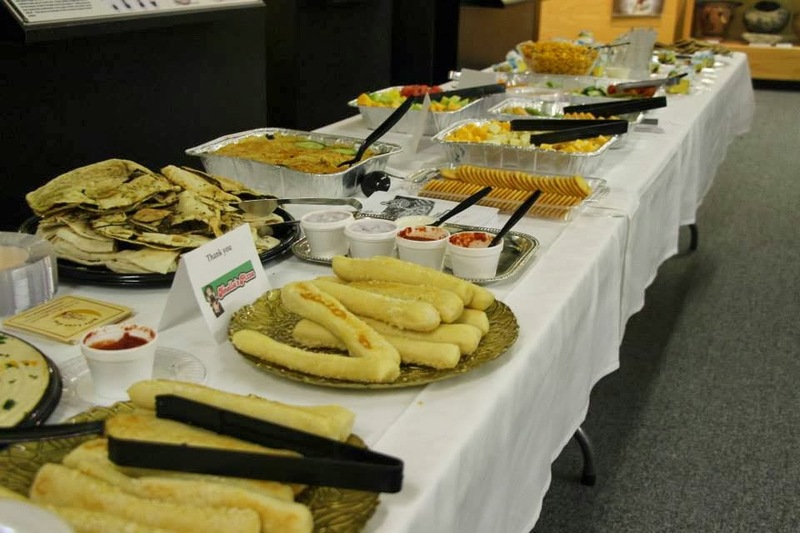 The Museum asks local businesses to donate food and refreshments for visitors. Thank you to our sponsors for this exhibit! 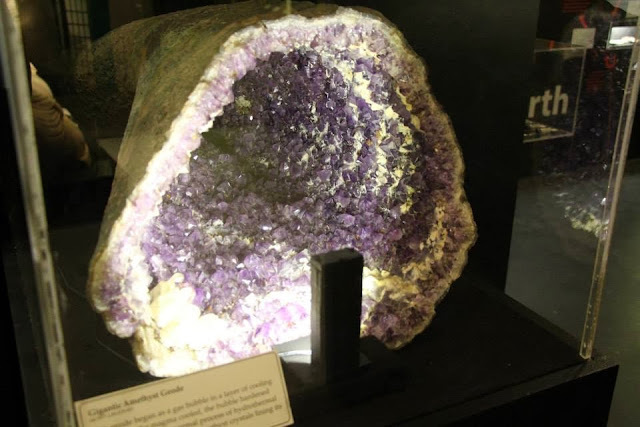 Visit the Museum to see these beautiful artifacts on display, including this large amethyst and gems below.